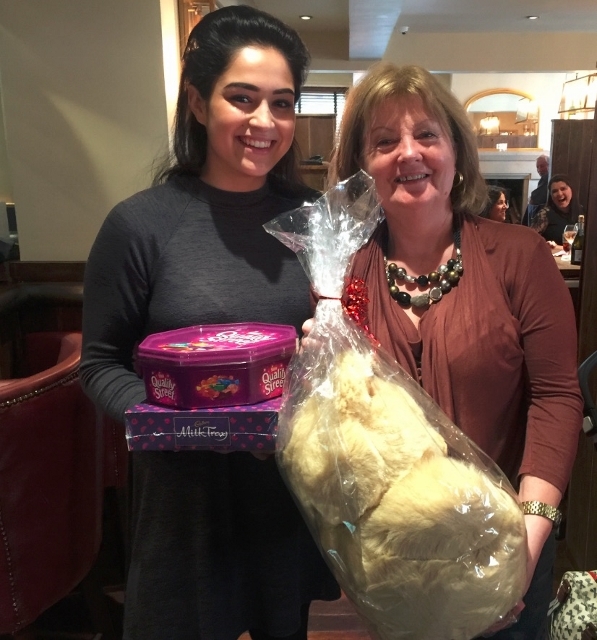 A charity lunch took place at a popular Aughton restaurant, as it pulled out all the stops to offer guests fabulous food and drink, and the chance to dig deep for charity. The Town Green Brasserie, owned by the award-winning Seafood Pub Company is supporting Queenscourt Hospice for the year and to celebrate the partnership, held a charity lunch in order to raise funds and introduce guests to the work the two will be doing together. Jemma McAnespie, marketing manager said, “We’re really excited about our partnership with Queenscourt Hospice; the charity lunch was a great idea as our first fundraising activity. Charity buckets were placed around the restaurant and raffle tickets were sold on the day at £2 each, offering guests the chance to win Sunday lunch for two at the venue, amongst other prizes. Starters included spicy crab and brandy bisque with rarebit on toast, and the mains featured classic haddock and chips with mushy peas, tartare sauce and lemon, and chargrilled halloumi with roasted vegetables, baby spinach, pomegranate and chilli dressing, to name a few. “We’re thrilled to be working closely with the Town Green Brasserie throughout the year; the charity lunch was a special, intimate affair and it was a huge success, raising £305; we’re looking forward to the next event!” said Julie McAdam, community fundraiser at Queenscourt Hospice.